True Blood has ended, will you miss it? The last episode of True Blood premiered last night. It’s kind of the end of an era. True Blood really started the horror revival and showed Hollywood that darker, more adult oriented programming would work on TV. 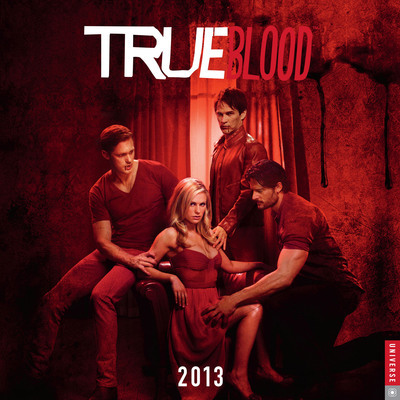 Did you watch True Blood right up until the end? Will you miss Sookie and the gang? Nope -yet again one I do not know -assume it is not in Australia? Or do I just miss all these? I think we are often years behind but we obviously dont get everything anyway -perhaps you have more free tv channels. I no longer have foxtel as got sick of paying for the ads and repeat programmes! I love Tru Blood, but I watch it on bluray so it hasn't finished for me yet. I will definitely miss it! Admittedly, I didn't care for the religious direction the show took in season 5, and I haven't taken the time to watch since then, but I love what True Blood did to TV. I don't believe shows like The Walking Dead, Hannibal or American Horror Story would be as popular if the world of TV hadn't been primed up by True Blood. No. The plot went from the sublime to the ridiculous. Quite good first two series but after that downhill all the way. No, I've never heard of this show before reading the question! Have you checked out Dominion yet?